Latest details released by WikiLeaks reveals a license agreement between Sony and Marvel defining the strict terms on Spider-Man's sexuality. The Whistleblower website WikiLeaks released a set of fresh documents which contained 276,394 private files, emails and financial data onto its server and in this process it has released some shocking information from the last year's Sony hacks as well. The fresh information leaked a legal licensing agreement between Sony Pictures Entertainment and Marvel Entertainment which reveals that Peter Parker and his alternate personality Spider-Man should be heterosexual and also Caucasian. The news regarding licensing agreement was first reported by website Gawker; however Sony Pictures and Marvel representatives did not comment on this news. The legal contract between Marvel and Sony went into effect in September 2011. In this the comic company Marvel Entertainment has specified certain 'mandatory' character traits of both Peter Parker and his alter ego-Spider-Man. Surprisingly the agreement includes a forewarning that Spider-Man is "not a homosexual (unless Marvel has portrayed that alter ego as a homosexual)." It was in the year 1962 that the character of Peter Parker alias Spider-Man was created by Stan Lee, writer -editor and Steve Ditko, writer-artist. The then Spider-Man first appeared in "Amazing Fantasy #15" wherein he was shown to be an orphan who is raised by his Aunt May and Uncle Ben. The character was portrayed as a teenager who deals with adolescence and is a costume crime fighter who displays super strength and agility, has the ability to clasp to most of the surfaces and can react to danger with his "spider-sense". The legal contract further stipulates the mandatory traits specifically for Peter Parker, who should be heterosexual and Caucasian! 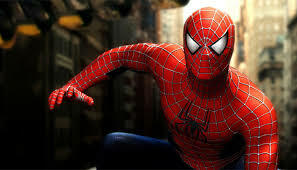 His full name is Peter Benjamin Parker; he is Caucasian and heterosexual; his parents become absent from his life during his childhood; from the time his parents become absent he is raised by Aunt May and Uncle Ben in New York City; he gains his powers while attending either middle school or college; he gains his powers from being bitten by a spider; he designs his first red and blue costume; the black costume is a symbiote and not designed by him; he is raised in a middle class household in Queens, New York; he attends or attended high school in Queens, New York; and he attends or attended college in New York City. Marvel's licensing agreement was found to be effective just after a month when a black-latino character, Miles Morales donned as Spider-Man in 'Ultimates' Universe which is an alternate comic line published by the comic company. Actor/rapper, Donald Glover was chosen to do the voice acting for the cartoon version of Miles Morale's Spider-Man version; however he was not able to portray the character in any Hollywood version and now with the disclosure of the licensing agreement it is pretty clear that Glover would have breached the contract and hopefully his fans now know the exact reason why he was not seen in any of the Hollywood versions. This indicates that probably in future if Marvel gives its fans a gay Spider-Man then surely as per the legal contract Sony can make films featuring a gay Spider-Man because "Marvel has portrayed that alter ego as a homosexual". It seems Marvel is ready to cast a white, straight Peter Parker character for its next venture Captain America: Civil War.